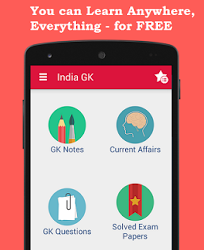 9, 10 February 2017 Current Affairs MCQs, Quiz, Questions: Current Affairs for February 2017, Daily Multiple Choice Questions (MCQs) for India GK, World GK and current affairs with Collection of daily objective type Question by www.Indiagk.net based on General Knowledge (GK) and General Science (GS) Questions for UPSC, State PSC, SSC, Police exam, Railway exam, SBI, Bank PO, IBPC, SSC, LDC, UDC, Army, Airforce, Navy, Coast Guard, Bank Clerk, TET and all entrance examination with current affairs News, Multiple Choice Questions (MCQs) available on Website www.IndiaGK.net and Android Apps with daily updates:. Which space agency recently plans rover on lunar surface? Which committee will be constituted by RBI on cyber security? Who becomes first Test batsman to register double centuries in four successive series? Who is Mascot for FIFA Under 17 World Cup India 2017 ?